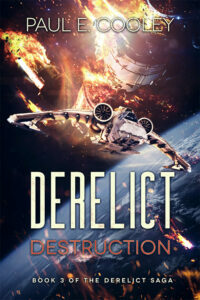 The third book in The Derelict Saga is now available for purchase up at Amazon.com. The trade paperback is not yet available, but I’ll announce the release as soon as it’s on the shelves. I expect it will be in the next week or two and the moment I have some in my store, I’ll put together a bundle for those interested in getting the first three books. I’ll begin recording the audiobook tonight and will have it finished as soon as I can. 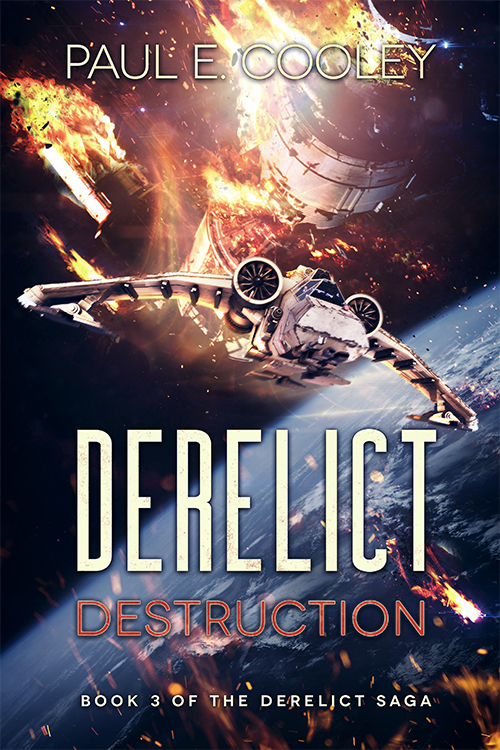 As soon as I complete that task, Derelict: Destruction will begin its podcast run. Which is going to be a long one. In the meantime, thank you for listening, thank you for your support, and for allowing me the opportunity to share my work with you every week. I like this series. I could see those marines running for their lives in the derelict. It was scary reading. I can’t to see what happens next. Eagerly waiting for audio version of Destruction. Any idea on release date? I’ve had some production issues, but I’m getting very close to having the audiobook both recorded and edited. The podcast version should start in the next two weeks. I imagine it will be on sale at Audible around the same time. Glad you’re enjoying the stories. Please put the third book on Audible I would like to pay for it to help support you writing. Howdy, Carmen. I’ve been waiting on artwork so I can submit to audible and put the special edition on my site. As soon as I get that, I’ll be submitting, putting it up for sale, and beginning the podcast run. So it’s coming. Thank you for your support and I appreciate the patronage. Any word on the audio?